Living a spirited life around the table includes joining us for our second Spirited Table®: The Supper Club Series. 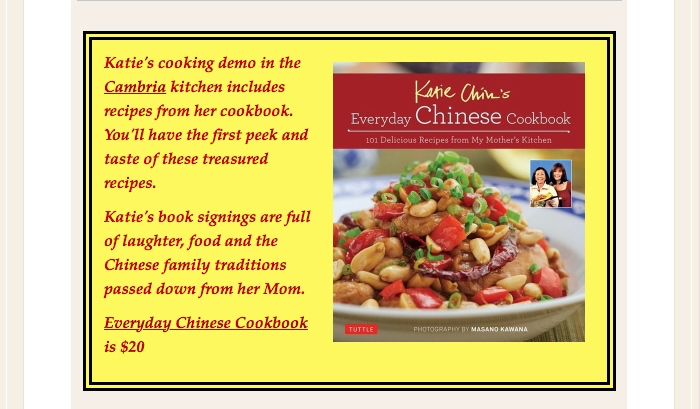 Katie Chin - Tastemaker in Residence, celebrity chef, cookbook author and beloved daughter of Leeann Chin, launches her Everyday Chinese Cookbook in Minneapolis where the Chin family cooking legacy began. You're evening includes Katie's cooking demo in the Cambria kitchen, more of Katie's cookbook recipes served and meeting our Toastmaster and Katie's friend and colleague Raghavan Iyer. 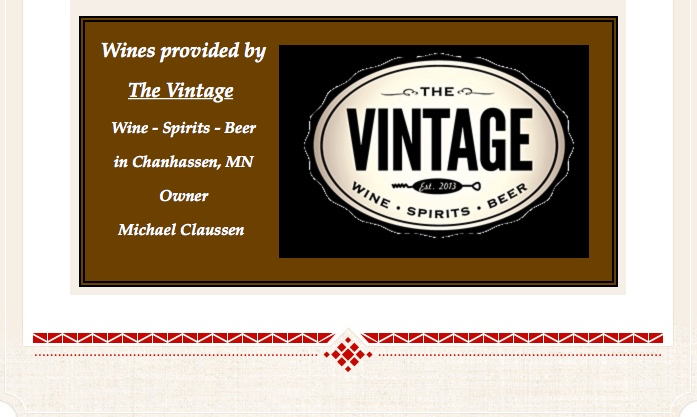 He is a recent James Beard Award Winner, Emmy award winning chef that was recently highlighted in the NY Times. Click on the links below and living spiritedly on this particular evening, just might change your Chinese cooking life forever! Please send any questions to info@thespiritedtable.com.